HomeCommon ProblemConfused About Calcium Supplements? Are you getting enough calcium in your diet? Maybe not, especially if you’re a woman or a teenage girl. Although Americans have improved at this in recent years, we’re still not getting enough calcium to maintain our bone health. The Institute of Medicine says that most in the U.S. get enough calcium, except for girls 9 to 18 years old. Although women’s recommended calcium needs to increase with menopause, postmenopausal woman taking supplements may also be at greater risk of getting too much calcium. “We know that peak bone mass occurs around age 30, so it’s very important in childhood and adolescence to have a healthy intake of calcium early on,” says Marcy B. Bolster, MD. She is a professor of medicine in the division of rheumatology and immunology at the Medical University of South Carolina and director of the MUSC Center for Osteoporosis and Bone Health. 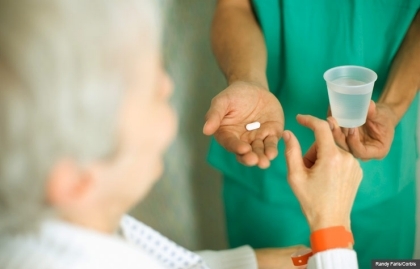 Your health care provider may recommend calcium supplements. But with so many choices of calcium supplements, where should you start? Here’s what you need to know. What kind of calcium supplement should you take? Some people’s bodies may have problems making enough stomach acid, or may be taking medications that suppress acid production. For them, says J. Edward Puzas, MD, a calcium citrate supplement might be better because it “dissolves a little better than calcium carbonate for these people.” Puzas is a professor of orthopedics and director of orthopedic research at the University of Rochester Medical Center in New York. What about other types of supplements, like calcium plus magnesium, coral calcium, and so on? Not necessary, the experts tell WebMD. But they note that supplements that combine calcium with vitamin D — which is essential for the body to appropriately absorb calcium — provide an added benefit. What calcium supplement dose is best? The body can absorb only about 500 milligrams of a calcium supplement at any one time, says Puzas, so you can’t just down a 1000-mg supplement first thing in the morning and call it a day. Instead, split your dose into two or three servings a day. “The best way to take it is with a meal; calcium is absorbed better that way,” Puzas says. If your daily diet includes calcium-containing foods and drinks, you may not need multiple doses. According to the National Institutes of Health, the upper limit of daily calcium for people between the ages of 19 and 50 is 2,500 milligrams, and for those 51 and older it’s 2,000 mg.
Calcium supplements rarely cause excessive calcium levels in the bloodstream. “It doesn’t hurt you, but it’s not particularly beneficial, either,” Puzas says. “There’s really no point in taking more calcium than about 1,200-1,500 milligrams a day,” Bolster stresses. Can I skip calcium supplements and get what I need from my diet? Yes. But it’s going to take some work. How can you tell if you’re getting enough calcium? Try tracking how much you get for a week. Some of your best sources of dietary calcium are yogurt (over 400 milligrams per 8-ounce serving), nonfat milk (about 300 milligrams per serving), and cheeses like mozzarella and cheddar (between 275 and 315 milligrams per serving). Some dark green vegetables, like spinach, are fairly high in calcium as well. Keep in mind that there’s really not that much difference between getting calcium in a supplement and calcium in food. What would a good, calcium-rich diet look like? If you drank a glass of milk (300 milligrams of calcium) with a calcium-fortified cereal for breakfast (400 milligrams of calcium), you’d get 70% of the 1,000-milligram recommended daily amount of calcium for an adult age 19-50 with that meal alone. Or, you could have a carton of yogurt (415 milligrams of calcium) with 6 ounces calcium-fortified orange juice (250 milligrams of calcium) for a total of 665 milligrams of calcium. Calcium-fortified foods — such as cereals, some juices, and soy milk — are excellent sources of the mineral, experts tell WebMD. Later that day, if you add 3 ounces of canned salmon (180 milligrams of calcium) on your lunch salad, snack on 1.5 ounces of cheddar cheese (306 milligrams of calcium), have half a cup of spinach with dinner (120 milligrams of calcium), and enjoy half a cup of ice cream for desert (85 milligrams of calcium), you would have gotten more than enough calcium for an average adult.